This clever little bon mot, generally attributed to Baroness Margaret Thatcher – the former British Prime Minister who almost single-handedly destroyed the powerful but destructive mine-workers’ unions in the United Kingdom – sums up the current state of affairs in South Africa. Or at least, as far as our fiscal matters are concerned. I would suggest that we now have officially entered that ‘running out of money’ stage. 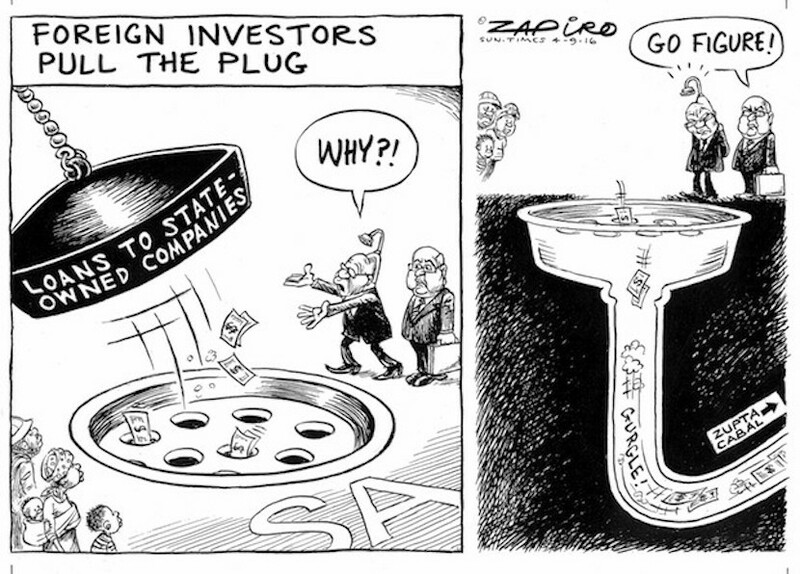 It could also explain this desperate search for more places to plunder by certain execs in the ANC. Underlying all of what you have been reading and hearing over the past year or so, is this simple but inescapable truth: ever since the collapse of the global commodity cycle since late 2011, SA has been slowly but surely running out of money. It took a while for the full effect of this collapse to filter through into company turnovers, profits and hence revenue collections, but it now has. SA’s revenue collection over many years has been quite sterling. Year after year we were treated with the luxury of revenue overshoots. Those days are now gone. What was paraded as revenue-collection efficiency was pure luck in many instances. We have no control over the global commodity cycle and are price-takers, not -setters. Almost unnoticed in between all the latest upheavals and shenanigans surrounding beleaguered finance minister Pravin Gordhan, was the announcement in Parliament by the South African Revenue Service commissioner Tom Moyane on August 23, that SA’s revenue collections are running way behind budgets, to the tune of R4.5 billion for the first three months of the current financial year, which started on March 1 2016. Now R4.5 billion might not seem that much but if this trend is not reversed soon, that number can grow and grow, like Topsy, to a R20 billion or R30 billion hole, which will be difficult to fill. You will need to tax many more things than just sugar or tax-free loans by trusts, two of many possible taxes being contemplated right now. By October, when the medium term budget has to be delivered by whoever happens to be our minister of finance, we could be staring down the proverbial barrel of the gun, with no obvious way to increase loans to plug the hole. SA’s budget deficit in 2015/16 was 4.2% of gross domestic product (GDP) and, in his budget speech earlier this year, Gordhan undertook to reduce the budget deficit to 3.2% in 2016/17 and even further to 2.4% of GDP in the following fiscal year. If current trends in the economy and hence revenue collection continue or worsen, these optimistic targets will fall by the wayside. An analysis of the revenue collection for the quarter to end-May show a surprising, perhaps once-off, overshoot in VAT collections (R2.6 billion or 5.6%) – not because the economy is robust (which it is not) but rather due to higher-than-expected claims from finance, manufacturing and wholesalers. Personal income tax was almost R1 billion under target already (1%) while fuel levy collections were 2.9% under target; sure signs that consumers are using their cars less. Interestingly, revenue collections on cigarettes were R320 million (or 3.6%) less than provided for in the budget. Is it because people are smoking less or are the sky-high taxes on cigarettes encouraging the smuggling of cigarettes which evades any taxes? You decide. Economic news for the second quarter (June-August) don’t augur well and most likely will produce an even-worse fiscal picture. The economy is in a serious funk. Motor car sales have fallen off a cliff, activity in the residential property market is like slow-moving treacle. The growth rate for the calendar year is not expected to be much higher than 0.5%. And this is the positive view. While there might be one or two lone economists seeing some kind of economic rebound, I am not one of them. In fact, one potential scenario we face is the following: Gordhan fired, rand tanks, business and consumer confidence – already at 15-year lows – falls even further and both our bond and equity market experiences a withdrawal of massive foreign investment. And oh, did I mention we get downgraded by one, two or even three global credit ratings agencies? As the year moves relentlessly forward to the end of the year and to our possible date with financial destiny, it looks increasingly likely that a ratings downgrade has already been baked into the pie. Gordhan has not been able to spend much time and effort to introduce fiscal measures which would assist in avoiding the fast-approaching cliff. He has been far too consumed in his faction fight with his erstwhile comrade in arms Zuma, who seemingly wants to see the back of him, away from the financial levers which controls the flow of money into this R1 trillion-a-year revenue economy. Such a nightmare scenario is being downplayed, I feel, by most segments of our media and the economists working for the large banks and asset managers. They are, as I have written before, under pressure not to be too candid and honest about the ANC’s handling of the economy and its prospects. It can be career-limiting if you are receiving a pay-check from a fund manager who does a lot of business with government. They tend to reserve their honest appraisals for off-the-record and not-to-be-quoted discussions. We’ve seen what happened to Paul Harris from FNB, who some years ago tried to initiate a campaign against the spiraling crime situation, which was cancelled at the last minute as a result of pressure from government. Andrew Canter from fixed-asset fund management company Futuregrowth tugged the proverbial tiger by the tail last week when he announced that he would not be recommending further loans to six State-owned enterprises (SOEs). Hey @Eskom_SA here’s a fine idea: why don’t you post ALL your contracts on the web for your customers to see. We have the right to know! 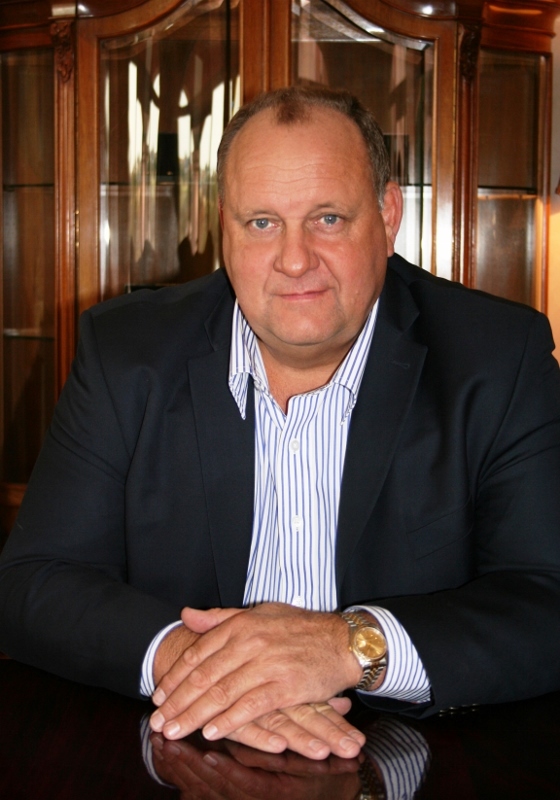 Canter operates in the seemingly boring space of fixed-income and structured loans in which his firm, owned by Old Mutual, lends large amounts of money to the government, provinces, municipalities and SOEs and earns a healthy return on these loans. It’s a very large company (assets R170 billion under management) and plays a very important part in the funding requirements of many local operations. Bravo to a brave man I thought when I read the announcement, but I was also not surprised to read that parent Old Mutual rushed to put out a statement the very next day that it does not share Futuregrowth’s opinions on the SOEs. Expect some very serious discussions to take place over this issue in the next weeks and months. I was also not surprised that the lead story in the Business Times yesterday was a hatchet job on Canter, with issues such as poor performance, high fees and transformation (or the lack thereof) at Futuregrowth raised by some SOEs quoted in the article. This is called ‘spin’ and the government is very good at it. This is how it happens in this country and I’m not sure how career-limiting such a move by Canter was. Canter was simply doing his job by asking some simple questions: how safe is the money on loan to these SOEs and how sure am I that investors will get repaid? It’s called fiduciary responsibility. He asked the same questions about Abil some years back and avoided that financial bloodbath for his investors. Now he has moved up into the big league. The next four to five months are going to be crucial for this country. A downgrade of our bonds and currency to sub-investment grade will, no doubt, be the final straw for a very fragile economy, plunging business and consumer confidence further into negative territory and will probably keep the country in a recession for several years to come. With unemployment at almost 30% of the population; almost 50% for people under the age of 30, you are looking at a scenario once described as ‘too ghastly to contemplate’. Magnus Heystek is the investment strategist at Brenthurst Wealth. He can be reached on[email protected] for ideas and suggestions. This article is republished with the editor’s permission. It appeared first on Moneyweb.co.za.